Alibi Of Genesis was born February 15, 2011. Alibi’s sire, Alfa of Genesis, was imported from Holland as a weanling by Genesis Farm. Alfa is the highest AHR inspected stallion ever in North America, scoring a record-setting 82 points earning his AHR GOLD classification and becoming only the 2nd stallion in AHR history to earn such a title. Alfa was the AHR Futurity Champion as a yearling, 2-year-old and then again as a 3-year-old. In 2010, Alfa became the AHR National Champion Stallion for the third time, becoming the only stallion to ever accomplish this feat. Perhaps though, more importantly than Alfa’s own accomplishments in the show ring, the winnings of his offspring are starting to accumulate as well! Alfa’s first foal crop was born in 2009 and only 10 foals were born in the entire country due to very selective and limited breeding contracts from Genesis Farm being available for outside mares. Alfa is quickly proving that not only is he an exceptional individual, but that he has the ability to pass his great attributes on to his offspring and Alibi of Genesis is an example of this! Alibi’s dam, Febe Ze NTF , is a beautiful and refined mare that is one of only three mares to have ever achieved AHR Elite Status. She is sired by Afghan III NTF and out of Florella of NTF and she has been a premier broodmare for Genesis Farm. Febe’s sire, Afghan III NTF, is known for producing mares of excellent type and refinement while passing along an almost “trademark-like” beautiful head. 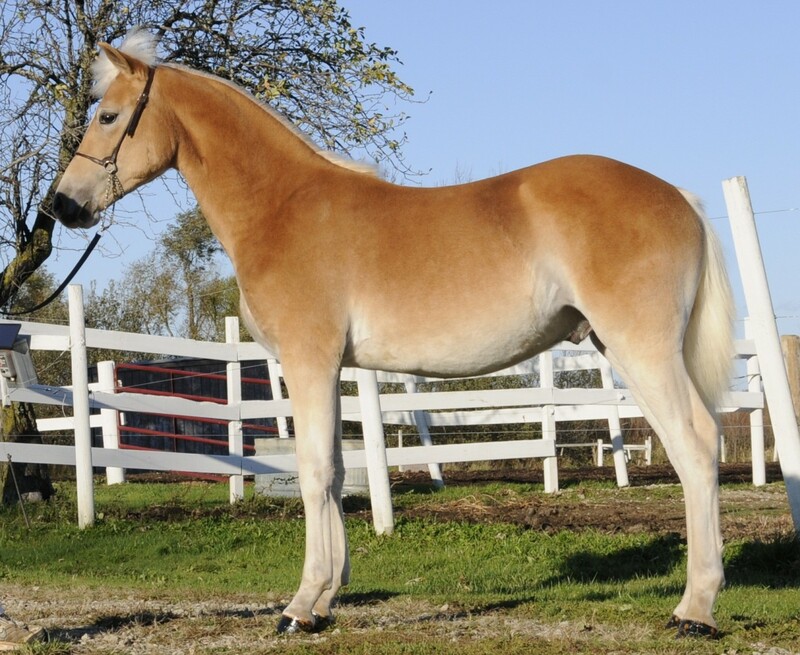 In 2007, Febe gave birth to the spectacular show filly, Faith by Fire DAF. 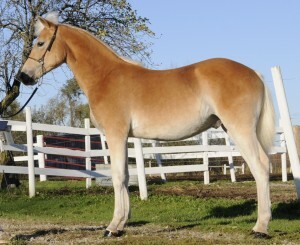 Fire’s merits, including being the highest inspected AHR horse ever in North America (83 points! ), have earned her dam much recognition. In 2011, Febe’s 2-year-old gelding, A Perfect Storm DAF, also sired by Arno, became the highest ever AHR scoring gelding with 78 points! Alibi of Genesis made his show ring debut at the 2011 AHR Futurity. Alibi took 3rd place in the competitive pleasure Senior Weanling Colt class, which was eventually won by his stable mate, Accolade of Genesis. In the large and well-attended pleasure SIP class, Alibi took 10th place out of 24 foals! His placement in this class helped to earn his sire, Alfa, the title of 2011 AHR pleasure Stallion of the Year. Alibi is being offered for sale to an approved home only.